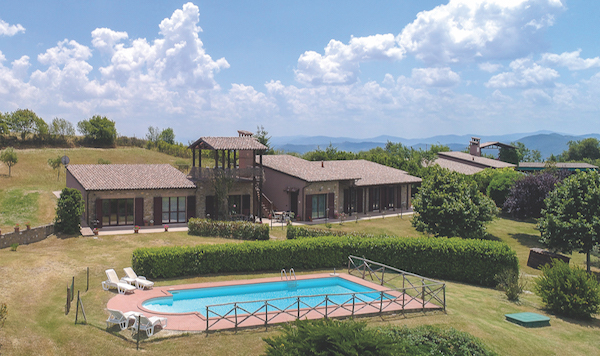 In Umbria, between Lake Trasimeno and Perugia, is this modern and comfortable 300 sqm villa in a very quiet location on 1.5 hectares of land. 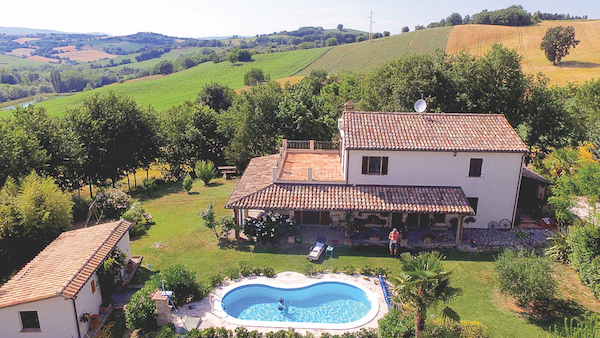 Built of old Umbrian stone, all 7 rooms are ground floor and have French doors to the garden. Spacious lounge/kitchen/dining room, 4 bedrooms, 3 bathrooms. In the middle of the house stands a tower giving onto a pleasant terrace and pool. The back garden offers views of Mount Subasio. The medieval Umbrian towns of Perugia, Assisi, Spello, Spoleto and Todi are easily accessible, as are Tuscany’s Cortona, Arezzo and Montepulciano. The nearest village is Antria at 2.5km. Soccorso, with supermarket, is 6km.